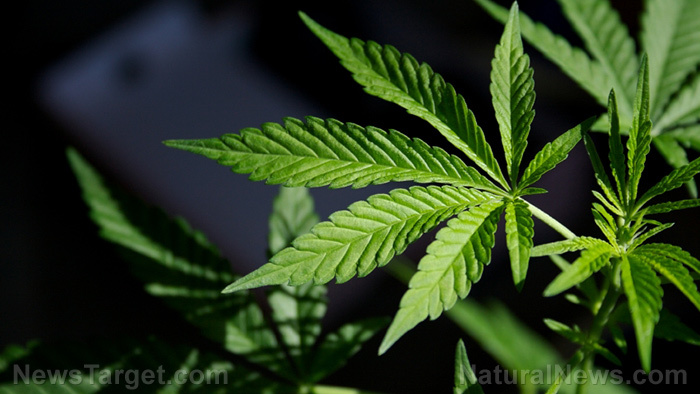 (Natural News) Despite having the right-of-way in a collision that ultimately ended in the death of the other party, a woman was still sentenced to six months in prison after being found with traces of tetrahydrocannabinol (THC), the psychoactive component in marijuana. Kali Su Schram, 20, was driving on Seaway Drive in Musekgon, Michigan, when she collided with a cyclist at an intersection with Sherman Boulevard, said a report on MLive.com. The 64-year old cyclist, Ralph Martin, died almost four months later from injuries sustained in the accident. Upon investigation, the Muskegon Country Prosecutors Office determined that Schram did have right-of-way. “If you read the police report, she could not have done anything to avoid this particular accident,” Schram’s attorney, James Marek, was quoted as saying in the report. At the same time, Judge William C. Marietti said at her sentencing that the THC in her bloodstream did not seem to contribute to the incident. Even then, Schram was sentenced to six months in jail and two years probation, and subjected to $6,456 restitution and $708 court fees. It was not revealed how much THC was found in Schram’s blood, nor if she seemed to be under the influence when the collision happened. Maat stressed that a person found with controlled substances in their system is not legally allowed to drive a car. “When a death results from an accident when a defendant could not legally drive, it is then left to the Judge to decide an appropriate sentence depending on the facts and circumstances of each case,” he said. The ruling is contrary to a study by the National Highway Traffic Safety Administration (NHTSA) that found that marijuana does not necessarily lead to increased risk for road accidents. Researchers cited previous studies that found little to no increase in road accident risk among drivers who use marijuana. “The more carefully controlled studies, that actually measured marijuana (THC) use by drivers rather than relying on self-report, and that had more actual control of covariates that could bias the results, generally show reduced risk estimates or no risk associated with marijuana use,” the study said. The study is the largest of its kind, with researchers surveying 9,000 drivers to examine the effects of marijuana and alcohol on people’s driving abilities. Of the participants, 3,000 had been involved in a car crash and 6,000 had not. The results revealed that marijuana users are more at risk for car accidents, though the study suggested that the users are at risk whether or not they use the substance. “The survey found that marijuana users are more likely to be involved in accidents, but that the increased risk may be due in part because marijuana users are more likely to be in groups at higher risk of crashes. In particular, marijuana users are more likely to be young men — a group already at high risk,” the NHTSA said.